(Thursday, October 18, Orlando, FL) – A creative force in today’s music scene, Kayhan Kalhor returns to Orlando with a work he recorded with The Silk Road Ensemble and Music Director Eric Jacobsen leads the massive forces of the Orlando Philharmonic in Holst’s epic astrological masterpiece, The Planets on Saturday, November 3 at 8 p.m. at Bob Carr Theater. The concert also includes founding member of the Aizuri Quartet, Karen Ouzounian, cello; one of the leading tabla virtuosos in the world today, Sandeep Das, tabla; and the University of Central Florida Women’s Chorus. RESIDENTS AND VISITORS OF CENTRAL FLORIDA CAN EXPECT SNOWY NIGHTS AND SPARKLING LIGHTS WITH A SPECTACULAR LIGHT SHOW, OUTDOOR SKATING RINK, EXCITING HOLIDAY ATTRACTIONS AND MORE! ORLANDO, FL – We’re spreading holiday cheer at CFE Arena and the University of Central Florida with the annual holiday festival, Light Up UCF. Produced by UCF Convocation Corporation and Spectra, managers of CFE Arena, Light Up UCF will open Friday, November 16 and run through Tuesday, January 1. This year’s festival offers 47 nights of ice skating, a world-class choreographed light show with new music, free holiday movies, live entertainment, rides like the Ferris Wheel and Light Up Express kids train, and much more. 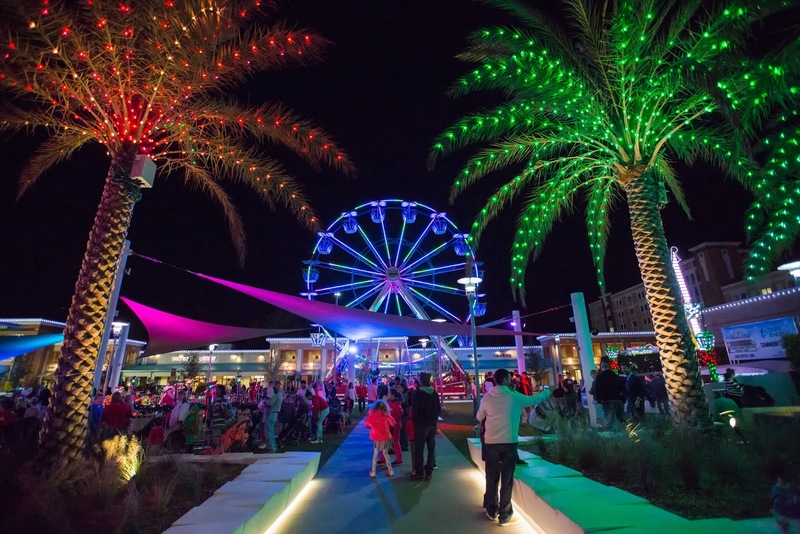 “CELEBRATING 10 YEARS OF MUSIC, LIGHTS AND ICE”, RESIDENTS AND VISITORS OF CENTRAL FLORIDA CAN EXPECT TO ENJOY AN OUTDOOR SKATING RINK, EXCITING HOLIDAY ATTRACTIONS, SNOW, AND MORE! ORLANDO, FL – Kick off the holidays at CFE Arena and the University of Central Florida with the annual holiday festival, Light Up UCF. Produced by UCF Convocation Corporation and Spectra, managers of CFE Arena, Light Up UCF will open Friday, November 17 and run through Sunday, December 31. This year’s festival offers 45 nights of ice skating, a world-class choreographed light show with new music, free holiday movies, live entertainment, rides like the Ferris Wheel, Light Up Express kids train, and much more. Tickets for ice skating, rides, and photos with Santa can be purchased at the CFE Arena Box Office. Select tickets are also available for purchase through Ticketmaster at www.ticketmaster.com or by calling 1-800-745-3000. More information for all Light Up UCF events can be found at www.LightUpUCF.com.